Hook em horns!At last, here's the book Longhorn fans have hoped for: the ultimate die-hard fan's guide to one of the greatest college football programs ever.The Die-Hard Fan's Guide to Longhorn Football takes you back to the very beginning of University of Texas football in 1893 when, according to reporters at the time, Texas "wiped up the face of the Earth" with its first opponents.But the guide doesn't stop there. It works its way down the field of 115 years of Longhorn football legends, including complete coverage of Mack Brown's dominating teams, Darrell Royal's thoughts on his greatest players, Emory Bellard's account of how he developed the famed Wishbone offense, and exclusive interviews with Earl Campbell, Steve Worster, and many other Longhorn stars who recall their days playing in burnt orange.Longhorn football teams have long been famous for their colorful characters, and you'll find plenty of them here: Johnny Lam Jones, who emerged out of small-town Lampasas to win an Olympic gold medal and rewrite the Longhorn record books; James Brown, who fired up his teammates--and infuriated his coach--with his famous prediction of a 3-touchdown win over heavily favored Nebraska in 1996; and Ricky Williams, whose controversial personal history has received almost as much media attention as his outstanding on-field talent.Finally, in a tribute to the player who brought Texas its first national championship in more than three decades, a host of former Longhorn players and coaches tell their best Vince Young stories. 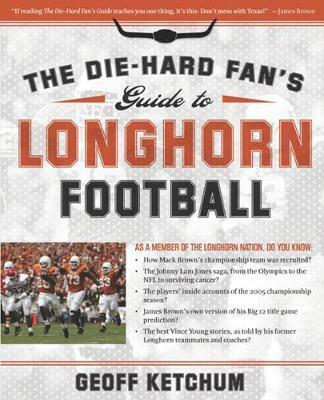 If you thought you'd heard them all, you've got another thing coming.Written for die-hard Texas fans, this book pays homage to the players, coaches, and fans that comprise the Longhorn Nation.